L ips are something which the others notice about you in the first glance. 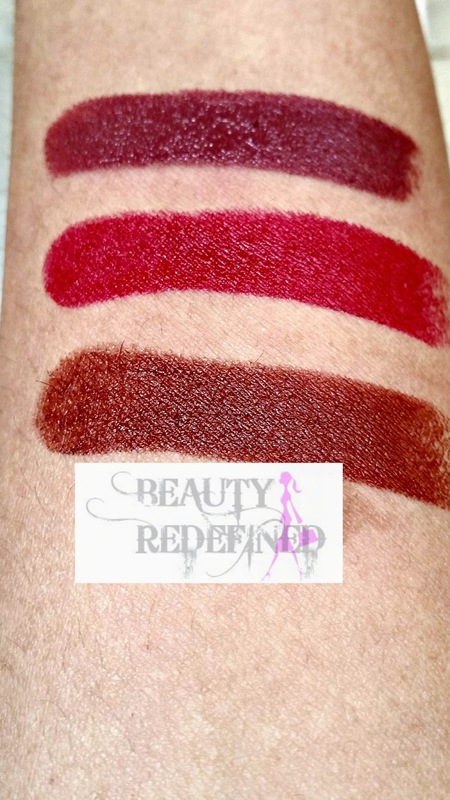 I really love my lipsticks and love them in all properties and colors. I love creamy, saucy, semi-matte, mild glossy lipsticks and thicker ones that coat the lips as compared to sheer ones. The packaging looks quite cheap. It comes in round black tube with transparent kiss & Tell : It's a chocolate brown shade. Soul mate : It's a pinkish - reddish Red. Promise : It's a pinkish brown shade. The packaging looks quite cheap. It comes in round black tube with transparent cap which easily tends to get messy. 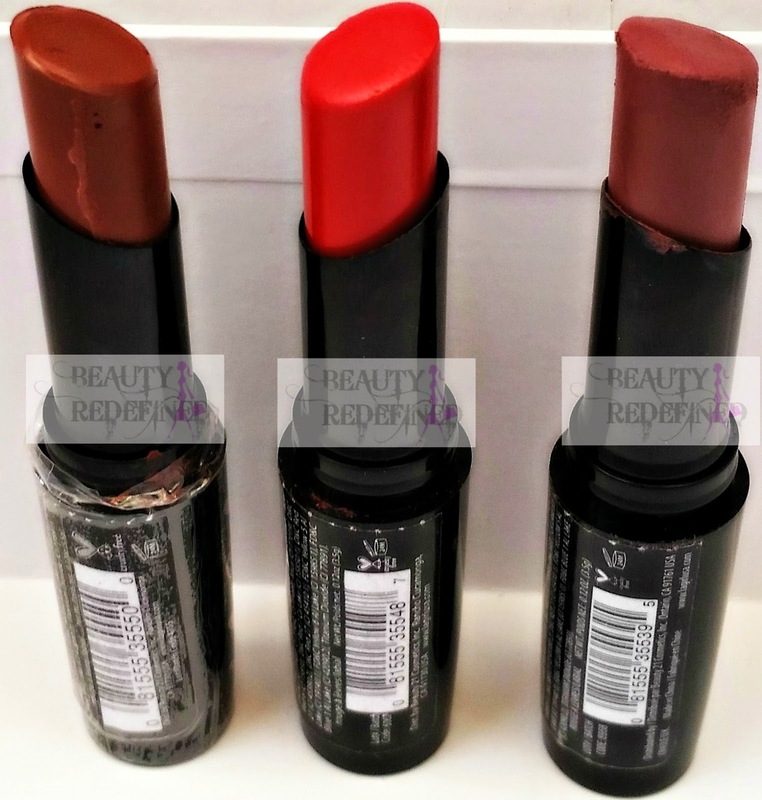 These lipsticks are quite moisturizing and give a creamy finish. It's so pigmented that one swipe gives full coverage. It does not tug and glides on easily. These lipsticks do have some bubblegum like smell but it does not last much and I personally don't mind scented products. The lasting power of these lipstick is pretty amazing and for me it lasted for 5-6 hours. 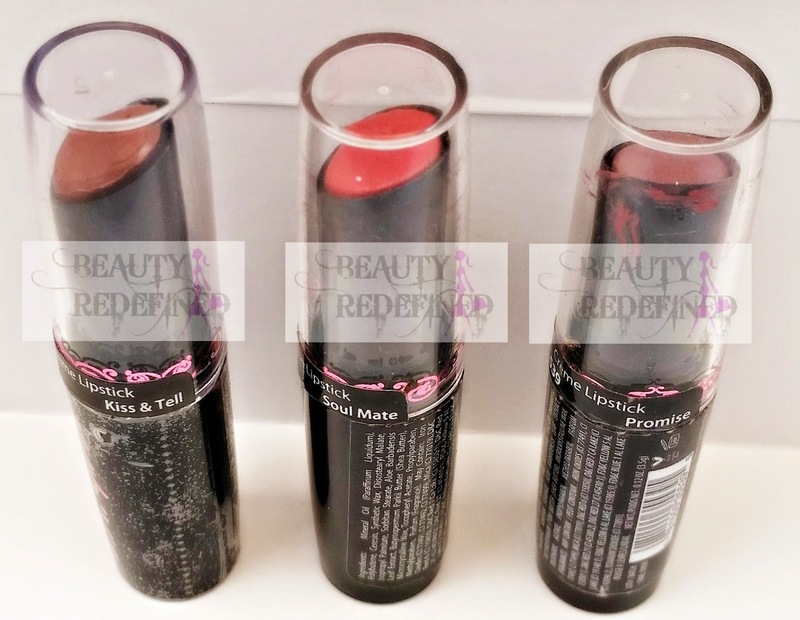 Another great thing about these lipsticks is that unlike many other lipsticks I have been trying, these ones don't transferred onto anything that touches my lips. This little baby is worth trying and is priced at only 2.25 usd :). These can be bought worldwide from Beauty Joint. Those colors are gorgeous!! Perfect for this season! These remind me of W&W lipsticks... Would love to give it a go. My goodness these looks so creamy! Lovely shades as well! These look so bright and colourful - and seem like excellent value!